Antioxidants are frequently mentioned in everyday conversations. This applies to both scholars and laymen alike. You can find antioxidant supplements in store shelves, and their health benefits are beloved by both marketers and media. However, very few people actually know what they are and how they work. The concept of antioxidants is fairly complex, but this article explains it in plain, human terms that anyone can understand. As you may know, all matter in the universe is made of atoms. Atoms are composed of a core with protons and neutrons, and a bunch of electrons that revolve around the core. The blue balls are electrons, which carry a negative (-) charge, while the protons (red balls) in the core carry a positive (+) charge. When two or more atoms are linked together, they become what we know as molecules. The human body is made up of substances like proteins, fats and DNA, which are basically just large molecules with dozens, hundreds or thousands of atoms joined together. Humans and other organisms maintain their structure and function by chemical reactions. All the chemical reactions needed to sustain life are collectively known as metabolism. In these chemical reactions, bigger molecules are broken down into smaller molecules, and smaller molecules are organized into bigger molecules. In order for a molecule to be stable, it must contain the right amount of electrons. If the molecule loses an electron when it isn’t supposed to, it can turn into a free radical. Free radicals are unstable, electrically charged molecules in the cells, that can react with other molecules (like DNA) and damage them. They can even form chain reactions, where the molecules they damage also turn into free radicals. This is where antioxidants come in… if a molecule loses an electron and turns into a free radical, the antioxidant molecule steps in and “gives” the free radical an electron, effectively neutralizing it. This is the mechanism behind antioxidants. They donate electrons to free radicals, which neutralizes them and prevents them from causing harm. Bottom Line: Antioxidants are molecules that fight damage by free radicals, unstable molecules that can harm cellular structures. Antioxidants do this by giving electrons to the free radicals and neutralizing them. Free radicals are constantly being formed during metabolism. Without antioxidants, they would destroy our bodies very quickly. However, it’s important to keep in mind that free radicals also serve important functions that are essential for our survival (1). For example, the body’s immune cells use free radicals to kill bacteria that try to infect us (2). As with so many things in the body, we need a certain balance… we need the rightamount of free radicals, and the right amount of antioxidants to keep them in check. When this balance gets disrupted, things can start to go wrong. When the free radicals (pro-oxidants) outnumber the antioxidants, this can lead to a state called oxidative stress. During oxidative stress, important molecules in the body can become severely damaged… sometimes even leading to cell death. High blood sugar levels (3, 4). Consuming large amounts of polyunsaturated fatty acids (5). Infections by bacteria, fungi or viruses. Excessive intake of iron, magnesium, copper, or zinc (1). Too little oxygen in the body (6). Too much oxygen in the body. Intense and prolonged exercise, which causes tissue damage (7). Excessive intake of antioxidants, such as vitamins C and E (1). Prolonged oxidative stress leads to increased risk of negative health outcomes, such as cardiovascular disease and certain types of cancer. It is also thought to contribute to the aging process. Bottom line: The body needs a certain balance between free radicals and antioxidants. When this balance is disrupted, it can lead to oxidative stress, which can cause all sorts of negative effects. Antioxidants are essential for the survival of all living things. The human body even generates its own antioxidants, such as the cellular antioxidant glutathione. Plants and animals, and all other forms of life, have their own defenses against free radicals and the oxidative damage caused by them. Therefore, antioxidants are found in pretty much all foods of plant and animal origin. Getting antioxidants from foods is important. In fact, our life depends on the intake of certain antioxidants – namely, vitamin C and vitamin E.
The health benefits associated with a diet rich in plants is, at least partially, due to the wide diversity of antioxidants they provide (9). Meat products and fish also contain antioxidants (10, 11), but in smaller amounts compared to fruits and vegetables. Berries are a particularly good source (12). Then there are plenty of other good sources of antioxidants… including green tea, coffee and dark chocolate. According to some studies, coffee is actually the single biggest source of antioxidants in the Western diet (13, 14), but this is partly because the “average” individual doesn’t eat that many antioxidant-rich foods. Antioxidants can increase the shelf life of both natural and processed food products. Therefore, they are frequently used as food additives (15). For instance, vitamin C is often added to processed foods to act as a preservative. Bottom line: Our diet is an essential source of antioxidants. They are naturally found in foods of both plant and animal origin, especially in vegetables, fruits and beverages like coffee and tea. There is a huge variety of different antioxidants found in foods. They can be broadly categorized into two groups, water-soluble and fat-soluble antioxidants. Water-soluble antioxidants perform their actions in the fluid inside and outside cells, whereas fat-soluble antioxidants act primarily in cell membranes. Vitamin C: One of the most important water-soluble antioxidants and an essential dietary nutrient. Vitamin E: The main fat-soluble antioxidant that plays a critical role in protecting cell membranes against oxidative damage. Flavonoids: A large group of antioxidants found in plant foods. They have many beneficial health effects (16). Many substances that happen to be antioxidants can also have other important functions. 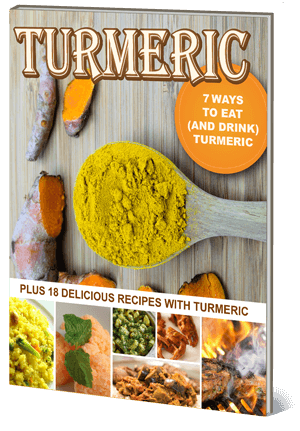 Notable examples include curcuminoids in turmeric and oleocanthal in extra virgin olive oil. These substances function as antioxidants, but they also have potent anti-inflammatory activity (17, 18). Bottom Line: There are many different types of antioxidants in the diet, including vitamins C and E, as well as flavonoids. These substances can serve various other functions that are not related to the antioxidant activity. Dietary intake of antioxidants is essential for optimal health. However, more is not always better. Excessive intake of isolated antioxidants can have toxic effects and may even promote rather than prevent oxidative damage. In fact, some studies have shown that high doses of antioxidants increase the risk of death (19, 20). Therefore, you should avoid high-dose antioxidant supplementation. In addition, studies show that foods reduce oxidative damage more than supplements. For example, a study using blood orange juice showed that it had significantly greater antioxidant power than a drink with sugar water that contained the same amount of Vitamin C (21). The truth is… real foods have hundreds (if not thousands) of different nutrients that work synergistically. Taking just one or two isolated nutrients won’t have the same beneficial effects. The best (and healthiest) strategy to ensure adequate intake of antioxidants, is a diet rich in various vegetables and fruit (22), along with other healthy dietary habits. However, low-dose supplementation, such as in multivitamin tablets, may be beneficial if you are deficient in certain nutrients or unable to follow a healthy diet. Adequate intake of antioxidants is an essential part of a healthy diet… but getting too much of isolated antioxidants (via supplements) can in some cases be harmful. At the end of the day, the best way to ensure that you get the right amount of antioxidants, is to eat a real food based diet that includes plenty of healthy fruits and vegetables.